Frist thing’s first, why is this stunning piece called a tennis bracelet? Well, this goes back to an incident at a Wimbledon match in 1987. Before this match, the linked diamond bracelet style was known as an “eternity bracelet”. 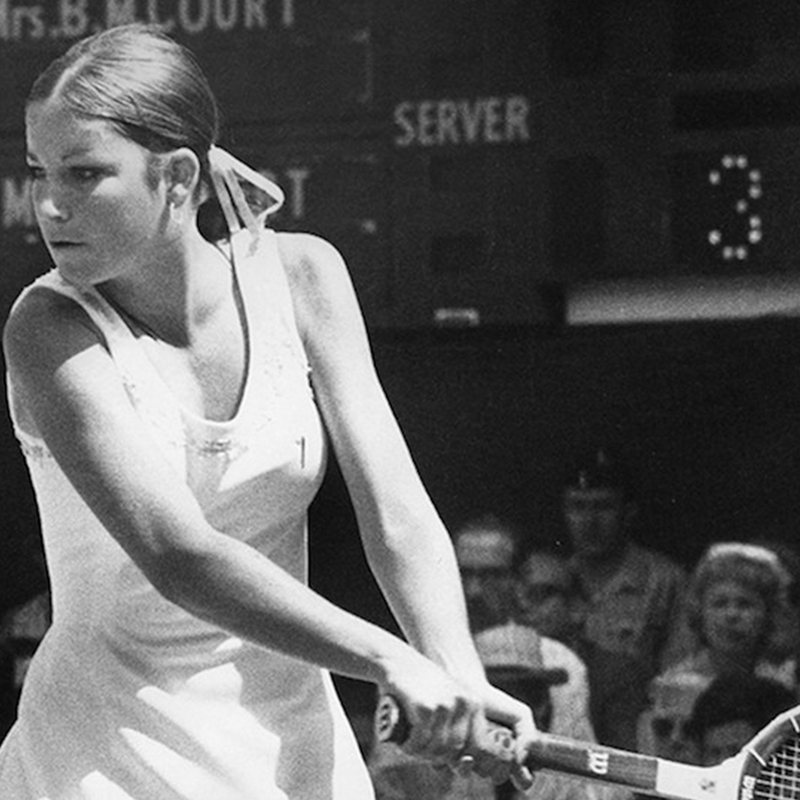 However during a match, accomplished tennis player Chris Evert’s diamond bracelet unclasped and fell off her wrist. She then asked the officials to stop the match until the bracelet was found, drawing attention to the incident. The bracelet immediately became popular and jewellers everywhere were creating their own versions of the “tennis bracelet” to keep up with the demand! Our jewellers also created a tennis bracelet of enduring classic and timeless appeal; featuring 0.50ct of HSI diamonds see below. The style of the bracelet had existed long before the Wimbledon match, but the bezel set piece designed by George Bedewi, who was renowned for his high-end jewellery designs, began the trend. His elegant diamond bracelet became a polished and prized possession for women of all ages and lifestyles. Today tennis bracelets can be found in a wide variety of designs and styles, featuring both coloured gemstones and diamonds. They are a classic gift for your girlfriend, fiancé or wife and are also popular as birthday and anniversary gifts! Add a personal touch and create your very own custom tennis bracelet here. 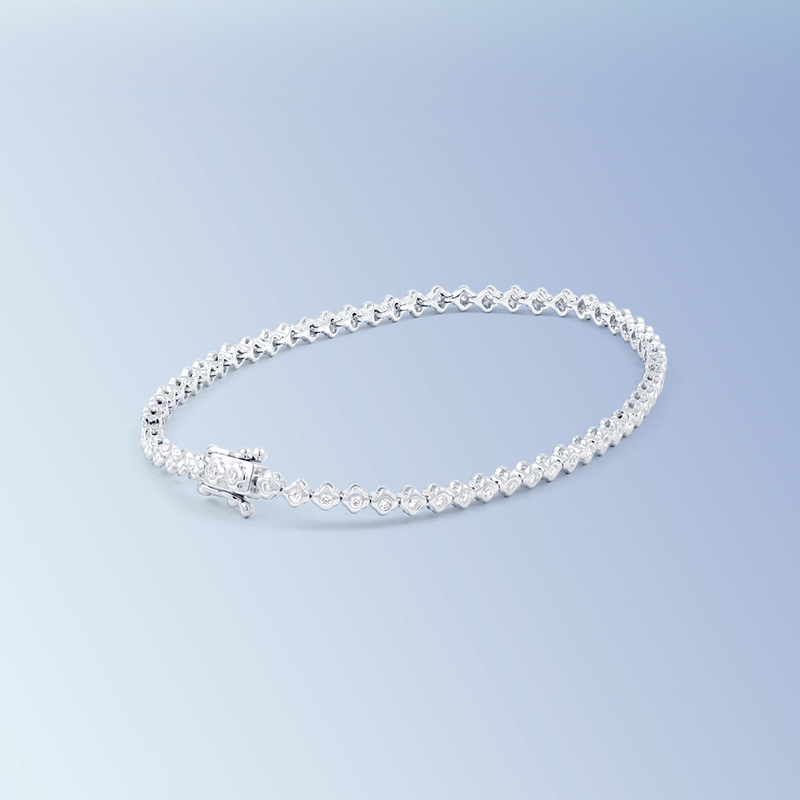 Or treat yourself or a loved one to our best selling diamond tennis bracelet, a timeless and versatile style.